As I mentioned in recent columns, I’m in the process of drafting my half of the annual update to “Criminal Law in New York,” a substantive criminal law treatise that I co-author with Brighton Town Court Judge Karen Morris. 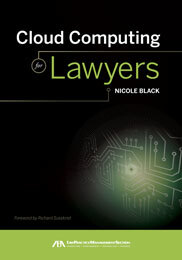 Every year, during the course of my research, I often stumble upon cases that offer an interesting perspective on the intersection of law and technology. This year was no different, and one particularly timely issue that I encountered involved juror misconduct occurring due to the improper use of technology by jurors. Oftentimes these types of cases are discussed in the context of jurors using social media platforms to discuss trial proceedings despite being instructed not to do so, but the two cases that caught my eye while researching cases this summer involved jurors improperly using other types of technology in ways that were alleged to have had an impact on criminal trials. In this column I’ll discuss the first case, People v. Neulander, 162 A.D.3d 1763 (4th Dep’t 2018), where the defendant was convicted of murder in the second degree. One issue on appeal was whether a number of text messages sent by a juror during the trial to friends and family constituted juror misconduct that created a significant risk that a substantial right of defendant was prejudiced. This conduct was reported to the court by an alternate juror after the guilty verdict had been rendered. 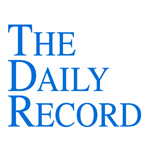 In the juror’s affidavit in opposition to the motion to set aside the verdict, the juror stated that she had followed all of the court’s instructions. Nevertheless, a subsequent forensic examination of her cell phone showed that she had deleted many messages and erased her web browsing history, and she was unable to provide any explanations for doing so. This case is a great example of the reality that even tools as familiar and simple as texting can have a significant impact on trials. So don’t make the mistake of discounting or overlooking the potential effect of “old school” technology on your client’s case. In next week’s column, I’ll discuss a juror misconduct case whereby jurors conducted legal research on their home computers and also used video editing software to enhance images from a video in evidence. So make sure to tune in next week!